01:32 pm - it never stops. it never will. I will find myself in the stillness of a barren, wasted night, in all its lonely perfection and with its disembodied voice. I am bound and I break at his curling feet, and the moon continues to mock me with its unnaturally green face. I was certain I loved and felt nothing at all as my lacy back tightened and my bones stirred within you. I was lured by the dangerous men as they tainted a violent sky with their vaporous lives, and through this blackness I still find beauty, in them, in the demons of yesterday that haunt and crawl and breed in the thinning, swaying, grinding stems of what my heart is now. 01:17 am - The thorns and the roses of all that are beautiful. Time to share some writing. Enjoy my writing, criticize my writing, persecute if you must...just don't say it's your creation. Don't take what's most dear to me, I implore you. Thanks in advance. 02:11 am - I am feared in field and town. 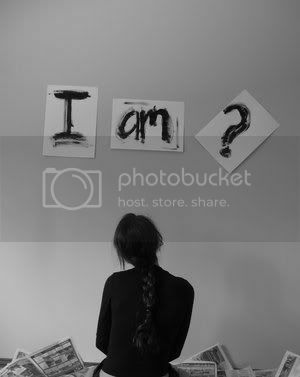 According to howmanyofme.com, and I quote, "There are 0 people with my name in the U.S.A."
* So...I don't have my name? "When out driving, if you see an opportunity to box someone in by parking too close to them, seize it." "Make a list of all the people you've ever dumped. Contact them once a year and try to restart the relationship." 01:53 am - I am a Celt, a bard, the sea, the strings of a life of rhythmic listlessness. I'm not sure as to why, exactly, but I've recently felt a sudden urge to finally share my writing with those in my personal life, family and friends. It's never been difficult for me to let friends online gaze into some of my work, but in the past I've always been very reluctant to allow those I know personally a look (whether it be a short-lived and meaningless glimpse or a deep and purposeful probing) into what I write. I'm not certain why, really. Perhaps subconsciously I feel that if I share with someone with whom I have direct contact, I somehow have to justify or validate what I've written, at least more so than anything else. I'd have to explain what I meant, my sources of inspiration, why I choose the words I do. That's something that's hard for me to do - I don't necessarily choose the words, anyway: it's more instantaneous, taken from something within me that must be released in a very specific way. Or maybe I don't share any of it due to past experience. I've had people read my work and they have almost always expressed the same reactions: confusion (which often, intentionally or no, leads to dislike) or simple disinterest, therefore leading me to unsafely assume that no one really cares about it and lean towards the inclination to not share at all. But something feels a bit different now. I want people to read it, even if I run the risk that some won't think of it fondly. Hell, no one likes everything, I can't expect that. Maybe I feel this way now because I'm always afraid I can't explain to others the person I am, and I want people to know and not be misled. My writing is who I am...so it just seems obvious I should share it, right? I'm starting with my mother, it only seems appropriate, seeing as she is one of the people whom I respect most. I know she would be honest with me, and not simply tell me what I want to hear. Perhaps then I'll let Norah read some, because she's shown some interest in it anyway. And there's another person as well, but I don't think I have the courage or the total willingness to let him know me in that way. I really put myself out there when I write; it's a soulful exposure, if you will. Part of me wants to share everything with him, but at least for the time being, another part is too uncomfortable for him to know. 01:13 am - I am untamed, universal, I have a cause that is moving and free. This is something I have been working on rather fervidly now. Someone has inspired me to put these words together in my head, and they've, in essence, written themselves with a haste that's almost irritating and sick. The weak and wounded part of me hates him so, and yet my love for him makes me his captive. I suppose it's not his fault that I love or, rather, feel (for how can I possibly know now if I love him when I am so clouded and lost in him?) intensely. That has nothing to do with him, it's only something in my own identity, but my irrational side is so angry with him for making me think and feel what I am now. The only thing of which I am fully certain is that I have never cared for a man so deeply as I care for him. I want to give him myself, in spirit and in body, if only for the shortest and most existential and primitive time. I want to give him everything, become his own, and then fly away from him, renewed, replenished, beautiful, free at last. I want him to end his petty games of wicked blindness and denial in a language that is unintelligible and foul. I want to know all that he is, all that he has done, all that he shall do. I want to give and expect nothing in return. I want my cardinal to invade and consume him, break his door ripped from its hinges, fill him deeply with mirth and with lust, lead him from cruelty and deprivation and toward wisdom, carelessness, rising bliss, and universal fulfillment. I want him to love me for this. 10:58 pm - Avis volat. I think I'm going to make this primarily a writing journal. I occasionally feel restricted and confined when my journal entries become merely journal entries. They seem a tad too contrived for my personal taste when I just recall the happenings of my days in the simplest ways. I know I am better able to describe my life, my thoughts, and my person through what I can compose, not just a record of what I do each day and each night. Also, there are several things occurring in my life as of now, things I find somewhat difficult to write about in a strained online journal but things I find much easier to write about through my own form of literature. So here you are, and there you go. 03:24 am - Poetic souls delight in prose insane. I respect and will add anyone. Preferably seeking out the wise, the Romantics, the punctual, the oddballs, the kindred spirits, the hearts of gold, the independents, the gamers, the citizens of the world.